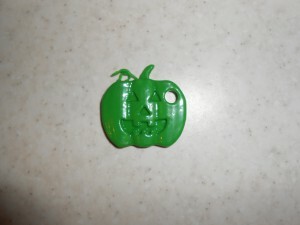 Last week, thinking about how much I have gained from the generous licensing of Thingiverse designers (such as RosieCampbell, Liz Havlin, EHM), I decided to pay it back a little bit and I made my Glowing Pumpkin Pendant/Pin available on Thingiverse. I even marked it as good for Remix and Commercial use. A week later, my design has its first Remix! A gentleman from the Ukraine adapted it into a keychain! And interestingly enough, he printed it in a single color… and it looks fantastic! P.S. If you don’t have a printer, I do have prints of the original Glowing Pumpkin Pendant/Pin listed on Etsy. On Saturday, I did a little “mini” show at a nearby church for four hours. 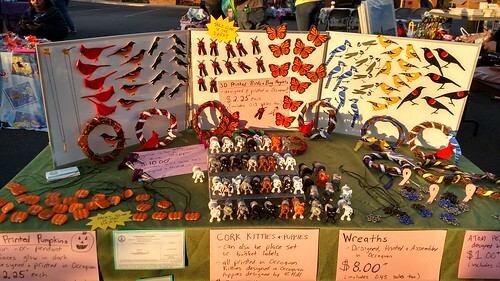 Since the booth fee was only $10, that gave me the luxury to do some experimenting with lower prices– particularly with the Cork Kitties and the Cork Puppies! My experiment for this show as setting them up at $2.25 (that’s including the sales tax). I left my more expensive products at home and only set up one 5′ table. TGAW 3D “Lite”, if you will. Now, the foot traffic at this show was pretty minimal– I think most of the people there were other vendors, but I still managed regular sales. My sample size is small, but I’m feeling like there was more conversion from admiration to actual purchase. 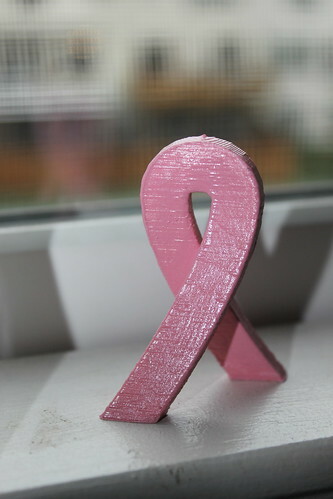 🙂 Oh, and I sold my very first Standing Cancer Ribbons. Yay! All the sales this time around were cash (At the Occoquan Craft show it was about 60% cash, 40% credit). If I keep up with the magnet boards, I need a better way to brace them– it flew over in the wind! Finally, I discovered there is a perk to a slow show. I got to sneak in some quality time with my boys and it was a fun place to do so. 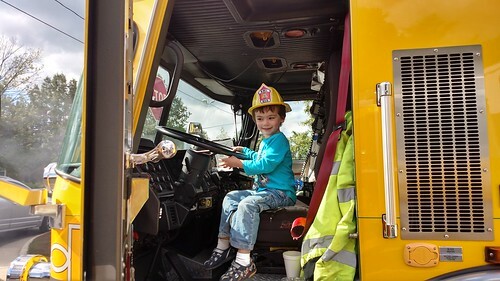 They had a moon bounce, a pumpkin patch… and the local fire station even brought over a fire truck and an ambulance for the kids to explore. As for grown up stuff, I got to visit with an old classmate from elementary school. We had a lot to catch up on. It wasn’t an especially lucrative show, but I had a most fabulous time. Shapeways is offering FREE shipping this weekend (October 3rd and 4th, 2015). Know what that means? 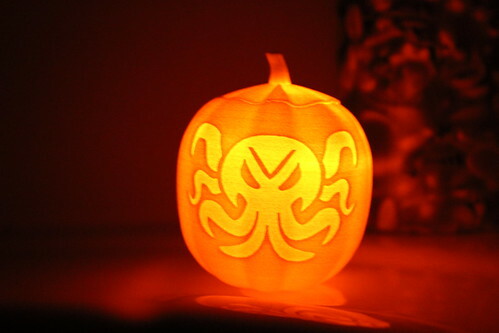 You can get my Glowing Cthulhu Jack-O-Lantern or my moving part Dial-O-Lantern (pick between 27 face combinations) in time for Halloween… and with FREE shipping. 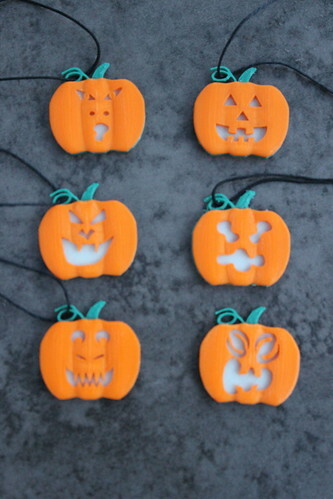 We’ve done a number of faces now for my Glowing Pumpkin Pendants for the Fall Occoquan Arts and Craft Show. I thought I would go ahead and document my carving process in Blender. 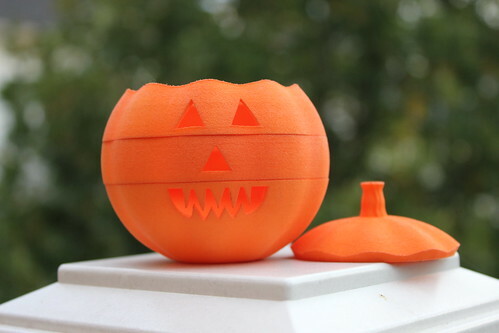 Quick background– with the pumpkins, I print 1.5mm of ColorFabb Green. I next switch over the ColorFabb GlowFill for another 1mm. Finally, I end with Translucent Orange filament from MakerGear. What this all means is whatever face I’m using to carve out of my pumpkin template (be it through OpenSCAD, Inkscape, ShapeJS, or any other means)– I want the bottom to be right at the 2.5 mm mark. I want the hole to extend all the way down through the orange to the top of my GlowFill. 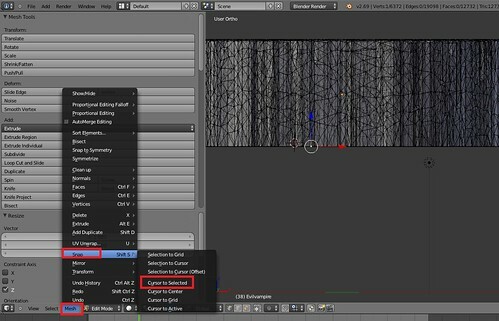 Although, not intuitive, this is pretty easy in Blender. First I import my face (in .STL format) from the File->Import menu option. If necessary, I resize it to fit more appropriately on the pumpkin. Now the fun part– what’s the easiest way for me to make sure my face carving goes all the way to the 2.5mm mark? I switch to Edit mode. I click on one of the vertices that is at the bottom of my face. This moves my 3D cursor to that selected vertex. This makes the point of reference for that object that very same vertex. This means when I am filling in coordinates for that object, it is using that vertex for the placement. Finally, at this point, I just change the Z position of my object (assuming I’m on Global) to 2.5mm. And there you have it— the bottom of my face I wish to carve out of the pumpkin is down at the 2.5mm mark, the top of my GlowFill layer. 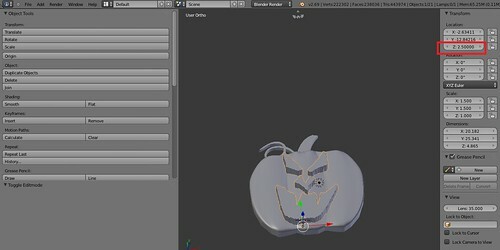 At this point, I can proceed with going to the Modifiers, adding a Boolean modifier and doing a Difference Operation on my pumpkin template and my face. 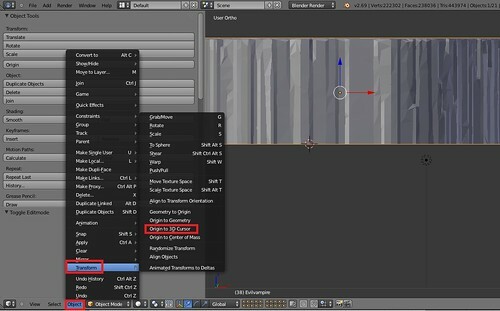 (The difference allows me to subtract an object from another object). Just to be sure, I do double check in Simplify3D that my orange process looks we expected. In particular, I don’t want to see a solid layer of orange covering up my GlowFill. 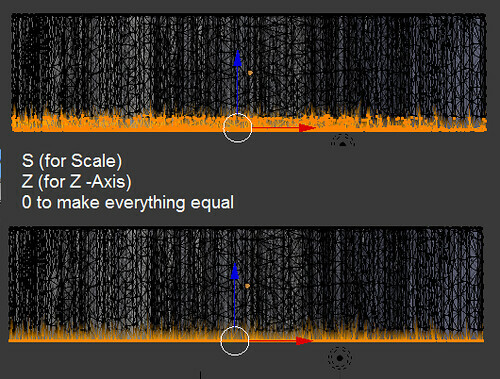 Hit S (for Scale) and then Z for the Z-axis and then 0. This sets ALL the selected vertices to the exact same Z height, so I’m thoroughly ensured if one vertex is at 2.5mm, they all are. And there you have it— how I carve my pumpkins (for now). I got my business license from the Town of Occoquan. The Town Clerk confirmed my suspicion. I’m the first 3D Printing business in Occoquan. : ) Now to submit my application for the Fall Craft Fair! 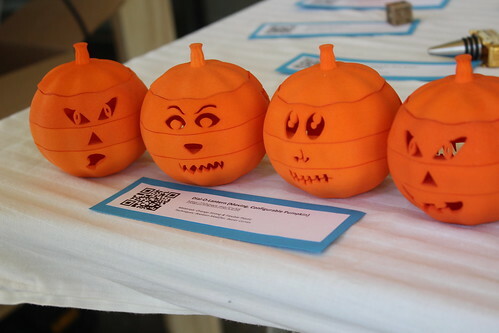 I have this awesome moving part product on Shapeways – The Dial-O-Lantern. 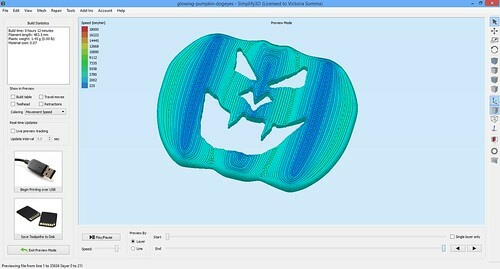 It prints assembled and allows people to configure their Jack-O-Lantern face. 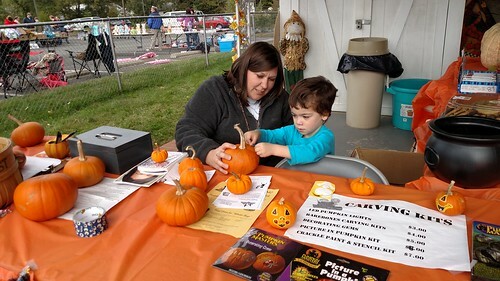 It was a hit with children at the Maker Faires. 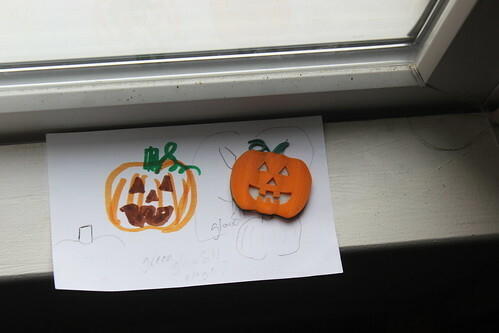 And six children got to design faces for the Dial-O-Lantern (via a contest). The price point is super high though ($50), particularly for children. I want to do something specifically for children at the Craft Fair. I grew up in Occoquan. I remember being a little girl perusing the vendor booths looking for kid stuff. So I tried to brainstorm something that would be fun for kids at the craft fair at a much lower price point, a kid-friendly price point. I came up with glowing pumpkin medallions. Without moving parts, they don’t need the fancy SLS printers of Shapeways. I print them on my MakerGear M2. 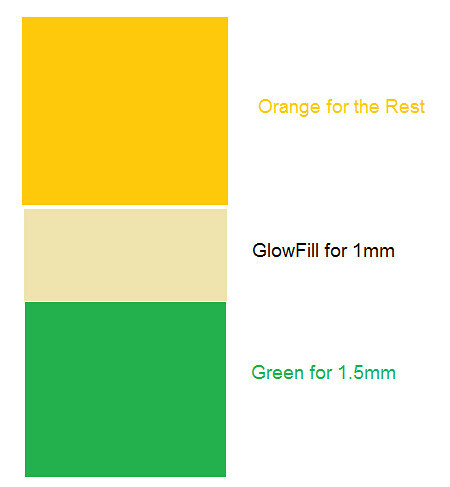 The bottom in green, the middle in ColorFabb GlowFill, and the top in orange. The facial features are carved out of the orange, so the GlowFill shines through in all its glory. 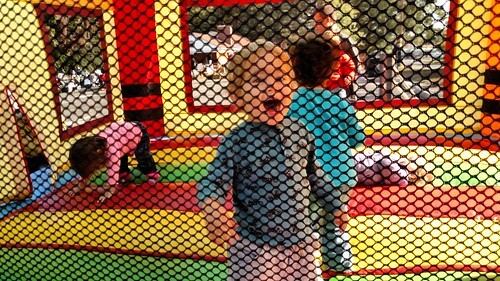 I could print a whole plethora of face combinations and still invite kids to customize them at the Craft Fair. 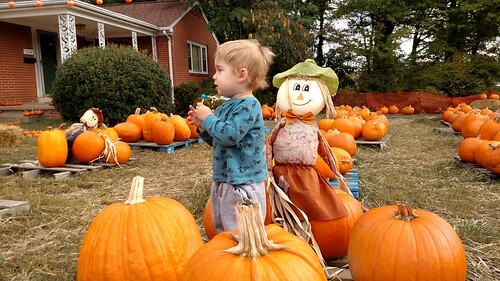 It would be easy to have them draw faces and carved them out of the pumpkin. 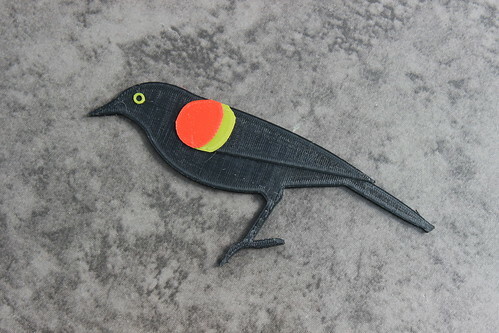 A fan of my Baltimore Oriole requested a Redwing Blackbird. I managed to model that during my business trip and print it when I returned home.